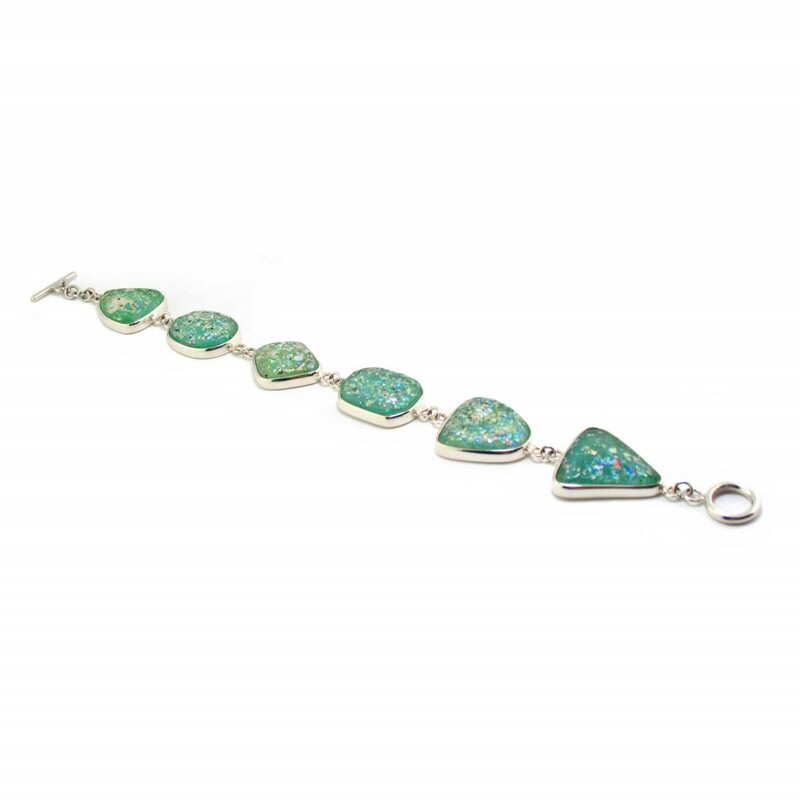 This bracelet features six beautiful matched fragments of old Roman glass that have iridescent colors developed from being buried in the soil over the past 2,000 years. Like all of our Roman glass, these fragments were collected from desert sites in Israel. 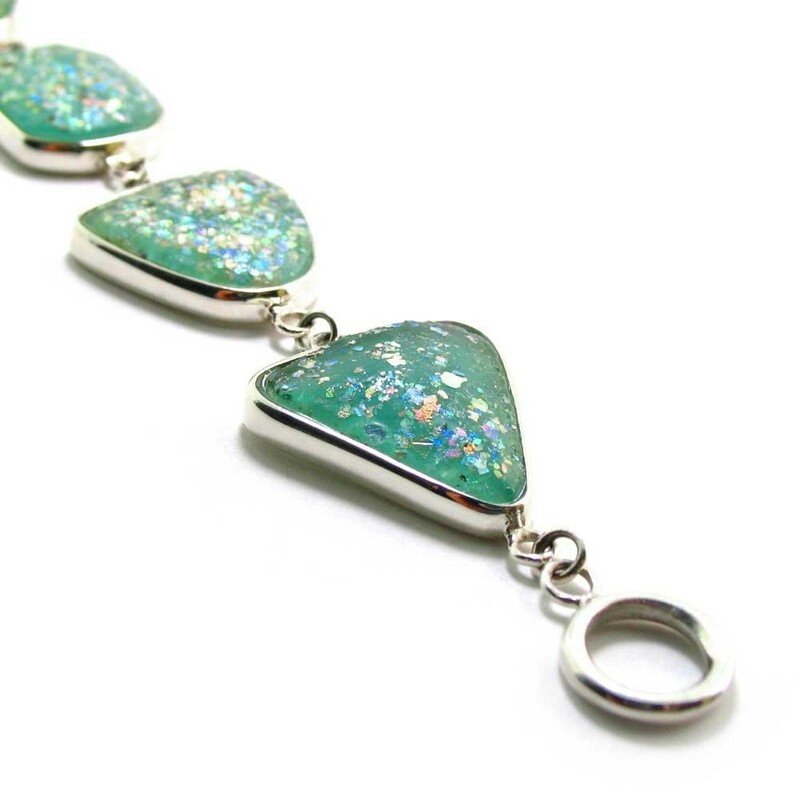 With its easy to wear toggle clasp this bracelet is 7.25" long. This bracelet comes with a Certificate of Authenticity from Israel.